Another species you can find this time of year along our Alabama Gulf Coast is Vermillion Snapper. They prefer the same depths as the Red Snapper and can often be found swimming with them. Like the Red Snapper, the vermilion snapper is more of a temperate than a tropical fish, and is unfamiliar to most anglers in the southern reaches of the state. This fish prefers offshore deep wrecks, reefs and ledges of the Gulf coasts. 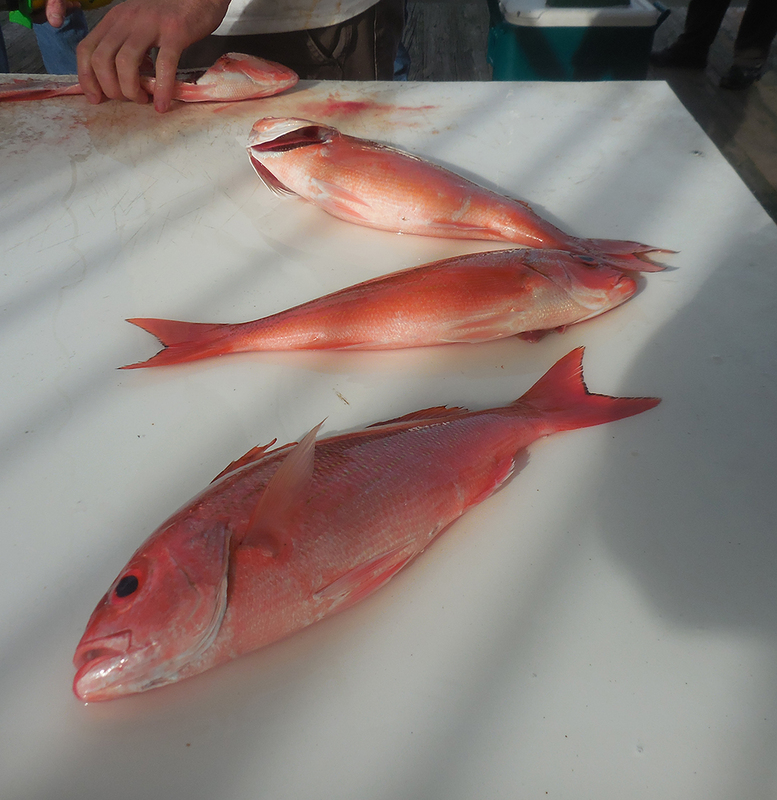 The color of the vermilion snapper is red in color with short, irregular lines on its sides. It also has diagonal blue lines formed by spots on the scales above its lateral line, sometimes with yellow streaks below the lateral line. The average size is less than a pound; it rarely reaches five pounds or slightly larger.